A robust ornamental tree, Acer platanoides will tolerate most soil types, pollution and some drought. 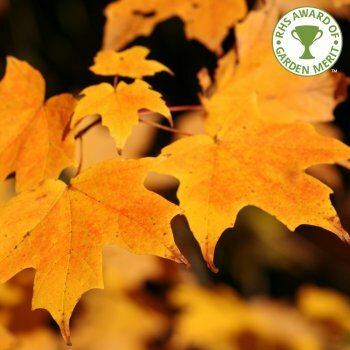 The Norway Maple is eventually a large tree with big green foliage that emerges yellow-green and turns good orange and yellow colours in the Autumn. Expect a height and spread of around 10 x 6 meters in 20 years from this low maintenance, architectural tree.